I just read the Jan 16 update and I would like to say that Tony would be proud of Christine and the OEW group for the job they are doing in carrying on the blog. They have learned their lessons from Tony very well, indeed. I must admit, though, that it was painful for me to read because of the sadness of knowing that Tony was not at the keyboard any more. I felt a sense of an empty space in my heart, even though I I never met Tony or had a personal friendship with him. A great soul has moved on to the next step of his journey through the universe. 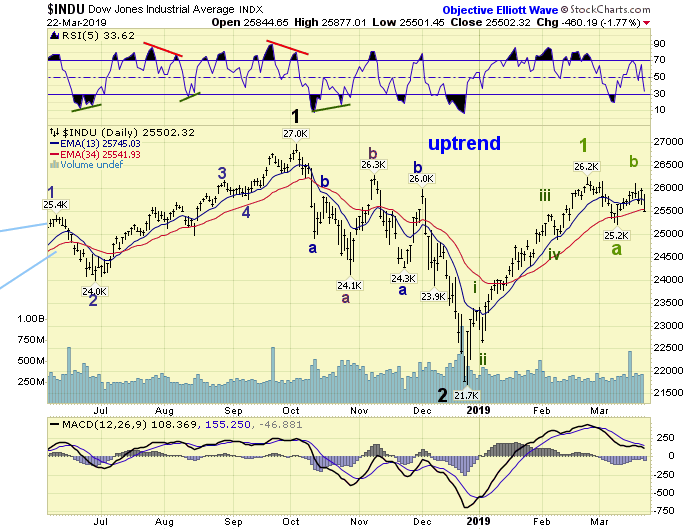 Dow Jones Transportation Index has already been referred to at the beginning of this thread, as a leading index. Correct. 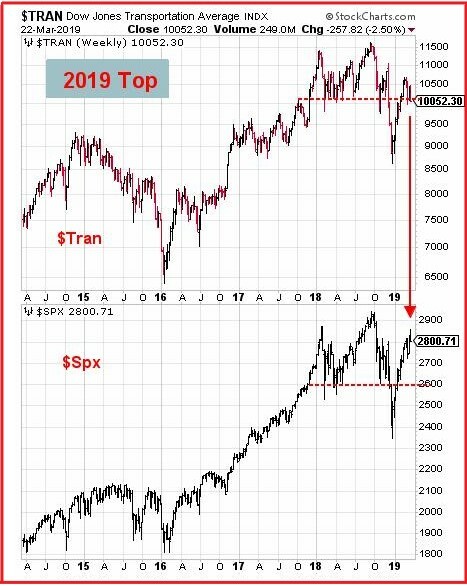 $Trans topped in this cycle Sept. 14, 2018, about 1 week before the SPX500. Dow Transports closed yesterday @ 1052, on somewhat of a significant support level. So bulls certainly need to see the transports move up from here. 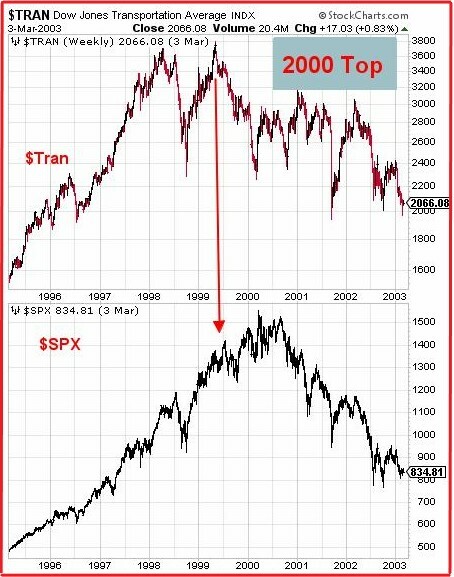 Looking back to the 2000 top, Transports led the way again, topping many months before the SPX500. That episode certainly didn’t end well for the bulls. In sum, I’d say the $transports are in a precarious position and need to move up this coming week. If they don’t, bullish investors will need to rethink their strategies. 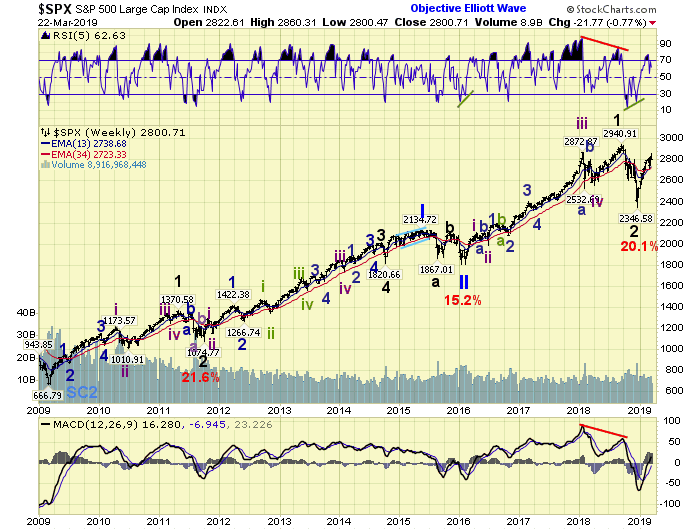 Agree,but I see the big breaking point for DJT at just under 10,000.A decent break below of about 50 points would signal more selling.Otherwise,more bullish at this point.GL all.Thanks for the update btw,everyone involved. Well OK, but $tran is down 414 for the month so far. Another 50 isn’t very far. disagree Transports are precarious. a 50/62% retrace down to 9500/9700 would basically be “normal”. rather than asking me why I think I am right. Many others do the same. 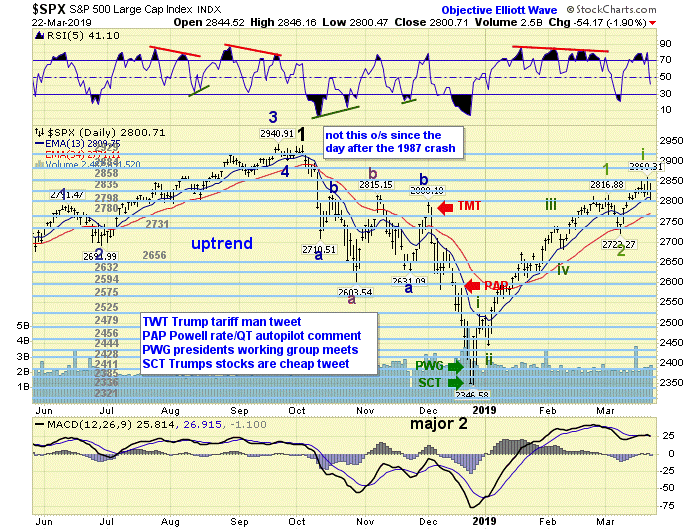 I’m looking at 9950-9995 as key support,a place where a few weeks ago,DJT was rescued from a big drop at that time.I’m giving 9995 some leeway,in case of a fake out,but below 9950 should be the real deal.Mr C was banking on Transports leading the way higher.If they don’t…adjust. Sorry for this stupid question .. If someone want to answer it ..
ie ..can this down move be bigger than minor 2 of 2722.-2816 = 106pts. ?? I believe the previous decline was 94.61 points. This move down can be greater. I am no expert, but I believe what you would be looking for is any overlap with the February 8th low of minute iv at 2681.83. Thank you all for a another, good weekly report. Thank you, Christine and the OEW group. This upcoming Friday (3/27) not only marks the end of the trading quarter and month, but it’s also the day where this up trend equals the 9/20 – 12/24/18 down trend in terms of 65 trading days. What this means is that the market persistence is still probably negative, as we will probably not exceed the 9/20/18 high (spy = 293.94). Yesterday’s close leaves the market 5% off the top.